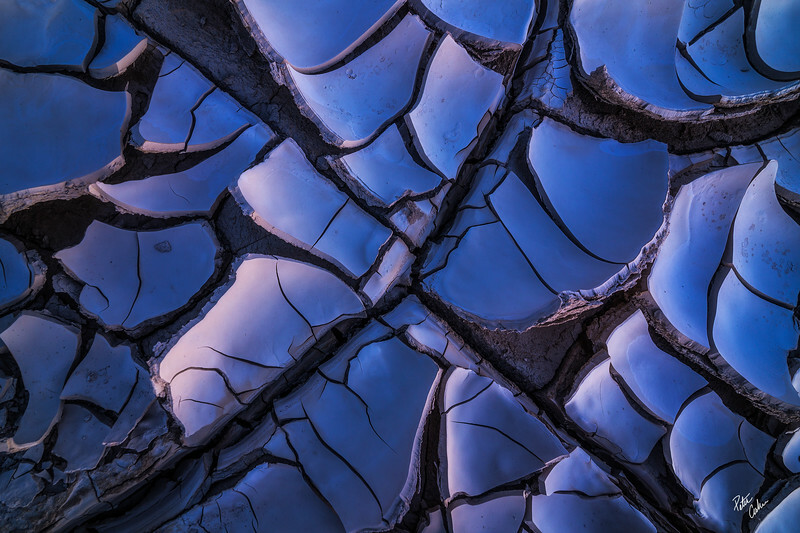 Fine art photographs depicting the rugged mountains throughout North America. 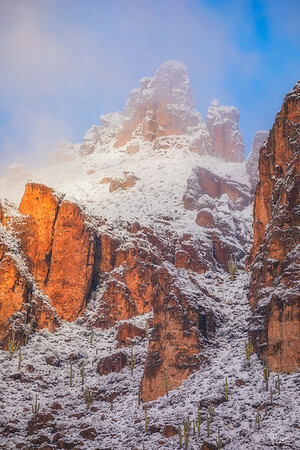 A rare dusting of snow over the majestic flatiron in the Superstition Mountains. The brief window of alpenglow created a stunning contrast of red, white, and blue over the landscape which reminded me of many patriotic things, including that of a rocket pop. 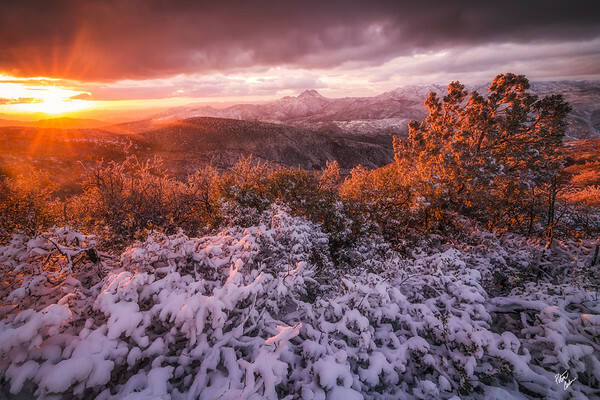 Fresh snow and first light over a remote peak high up in the Superstition Mountains during sunrise on New Years day. 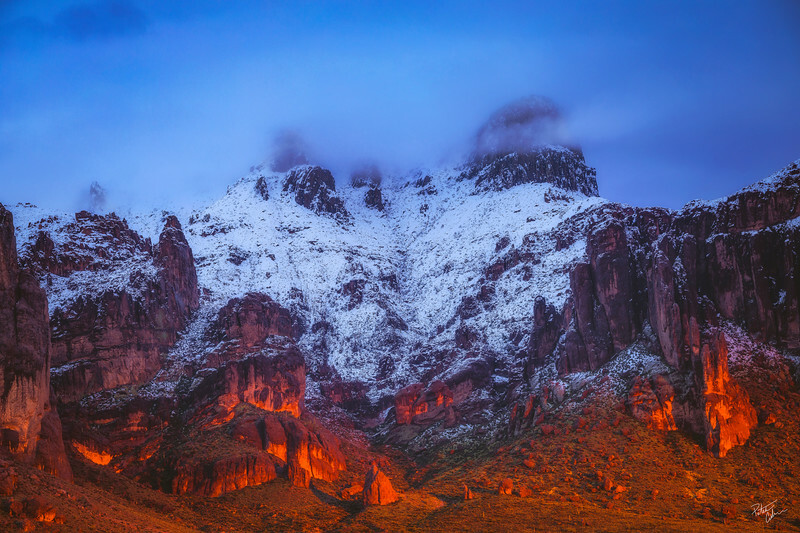 A snow covered peak in the foothills of the Superstition Mountains is framed by low clouds as the rising sun illuminates the brief window before disappearing once again. 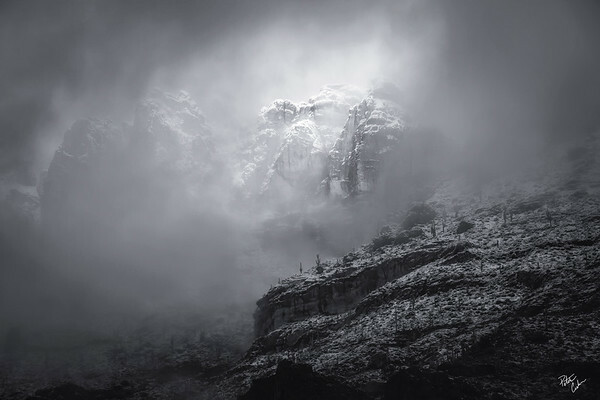 Snow capped cliffs rise through the clouds in the Superstition Mountains during a rare dusting of snow. 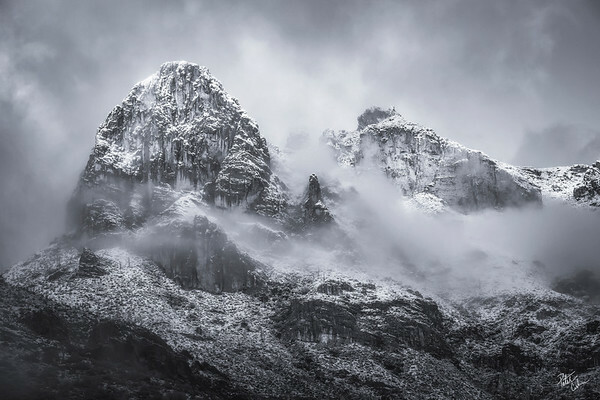 Dramatic snow capped peaks and low clouds moving through an amphitheater of jagged spires in the Superstition Mountains. 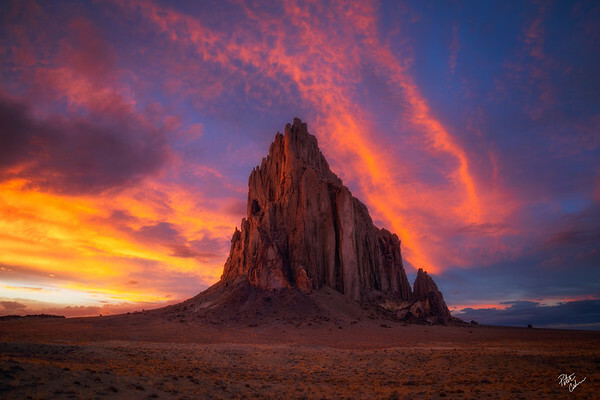 Blazing sunset skies over the impressive mountain named Shiprock. The mountain stands taller than the Empire State building! Wildflowers dot the slopes along the Grinnell Glacier trail with incredible views of angel wing peak and Mount Gould with soft afternoon light. 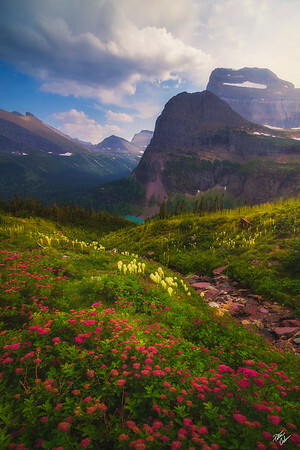 Glacier National Park, Montana. 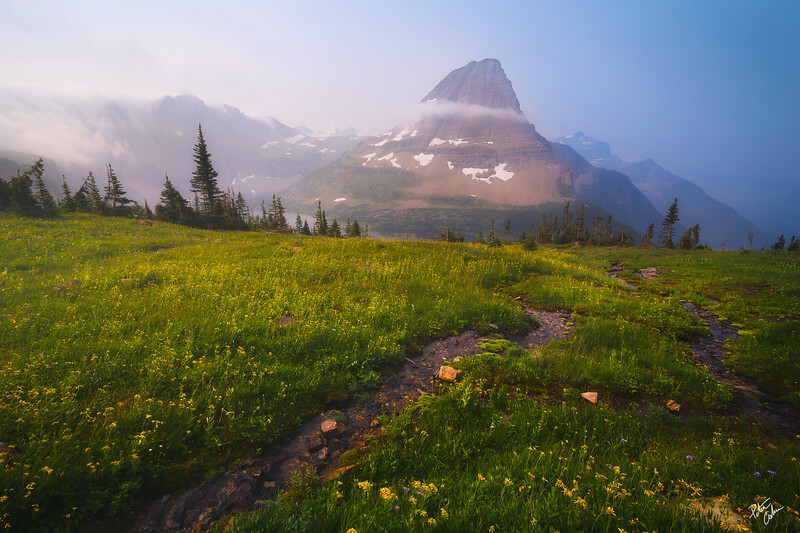 The last of a thick morning fog lifts off of hidden lake and bearhat mountain in Glacier National Park, Montana. 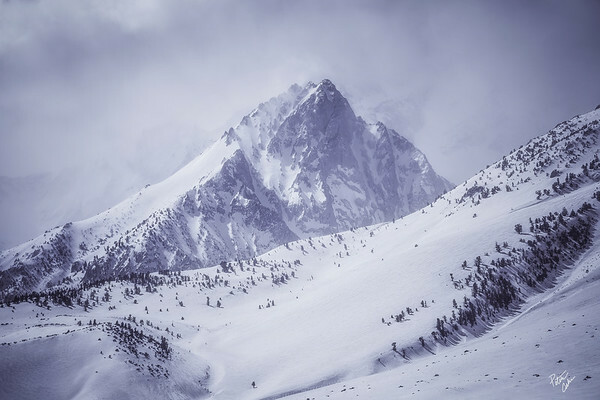 One of many stunning peaks found in the Eastern Sierra dressed in winter snow as winds kick up in the higher elevations sweeping snow off the distant peaks. 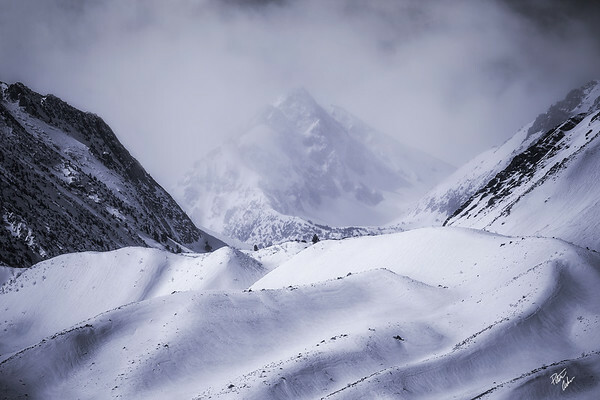 A lone peak shrouded in the clouds being windswept is framed by the edges of Mount Tom and Basin Mountain in the Eastern Sierra, California. Fresh snow blankets the vegetation along the slopes of Mount Ord on Christmas day as the sun breaks through for a stunning sunset. Mount Ord, Arizona. 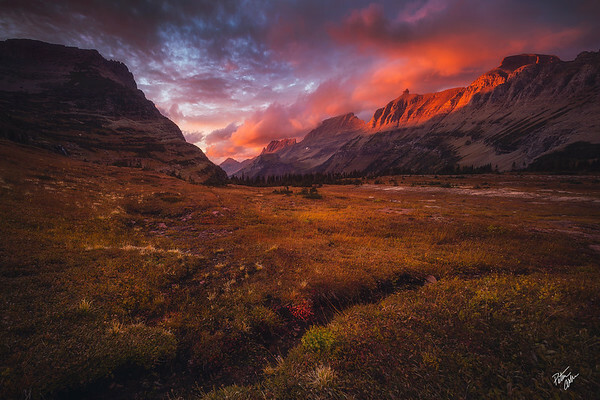 Sunset over Logan Pass and the Going to the Sun Road in Glacier National Park.